Bring all your beach trip essentials with you in a chic way! This personalized beach tote will be the perfect summer day accessory. 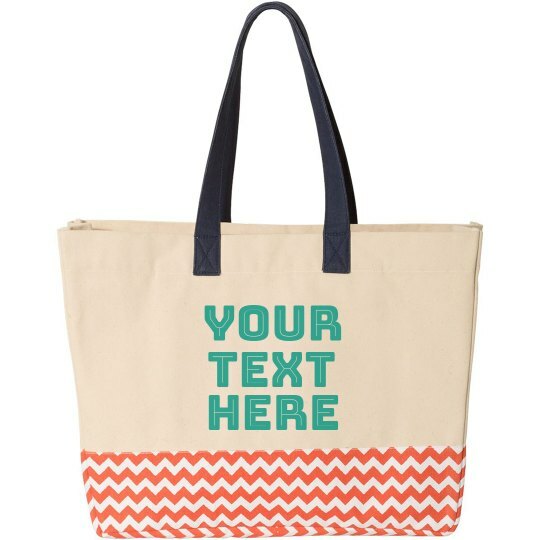 Customize this trendy bag in our easy to use design center by adding your own custom text.